Best Picture mistake: How it's going to be avoided at the 2018 Oscars. An intense six-step plan is in place to avoid another Oscars Best Picture disaster. 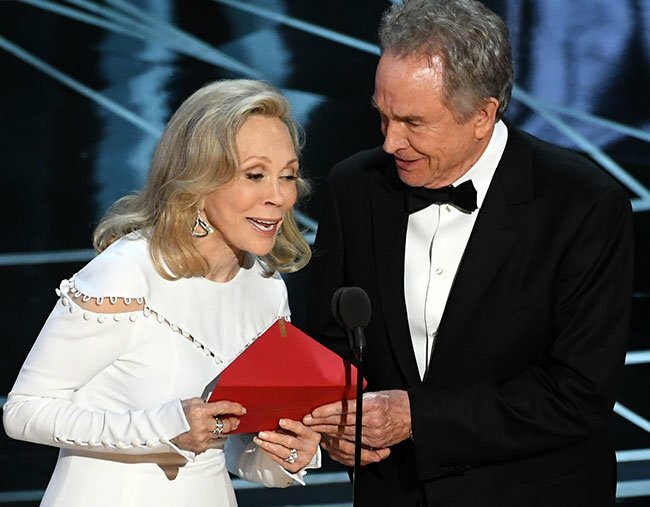 It was the Oscars stuff-up that had everybody talking: Hollywood legends Faye Dunaway and Warren Beatty announcing the winner of the Best Picture award as La La Land, when in fact Moonlight had won. After much investigation, it was revealed the mishap had taken place when the presenters were handed the wrong envelope before heading on stage to reveal the winner. Reactions towards the monumental mistake were mixed: actor Ryan Gosling couldn’t stop giggling at the complete and utter awkwardness of all. Host Jimmy Kimmel couldn’t understand the chaos he was seeing unfolding before him. And the two people held responsible for the blunder have since been banned from attending future Oscars ceremonies. But as the red carpet is rolled out for the 2018 ceremony, which will air later today, it’s unlikely the mistake will occur again. According to Vanity Fair, Oscars organisers have implemented an intense “six-step plan” to avoid another repeat of the “envelope disaster”. "This is not a joke. Moonlight has won Best Picture." Image via Channel 9. Accounting firm PricewaterhouseCoopers, who are not only responsible for counting the Academy&apos;s votes, but also for safeguarding the all-important winner&apos;s envelopes backstage, have this year banned the use of phones and social media backstage. "There will be no tweeting, texting, or gramming to distract PwC employees this year," Vanity Fair reports. LISTEN: The period drama Mudbound has been a surprise success for Netflix with a tonne of Oscar nominations. Here&apos;s why it&apos;s one to watch. Post continues after audio. Today, a third PwC partner will also sit in the show&apos;s control room with producers, with all three having each and every Oscar winner committed to memory. All three have also been trained in how to respond quickly in case another on-stage mistake were to occur. "As you&apos;re well aware, it took a long time to respond last year when there was a mistake made," Tim Ryan, PwC&apos;s US chairman and senior partner, told the Associated Press. "So, we&apos;re formally practicing the what-ifs." But there&apos;s one thing about the Best Picture announcement that won&apos;t change at the 2018 ceremonies and it&apos;s all to do with the presenters. "Let&apos;s do it right this year, okay?" Image via Getty. Despite their involvement in the error last year - although, admittedly, the duo were just reading what they were handed - TMZ reports Faye Dunaway and Warren Beaty will again present the award, believed to be the most prestigious of the night. "Our Oscar sources tell us Warren and Faye both just showed up at the Dolby Theatre and rehearsed the big moment," the gossip site reported. "We&apos;re told they were shuffled onstage together very quickly to run through their bit. They went through their lines twice. 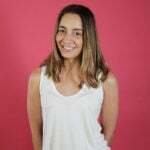 She began by saying, &apos;Presenting is better the second time around&apos;. Beatty followed up with, &apos;The winner is Gone with the Wind.&apos;"